www.SelmanGuestRanch.com ~ Selman Ranch, family owned and operated since the late 1800's. Come be a part of our beautiful 14,000 acre ranch in Northwest Oklahoma, heart of Wild Quail country. Our ranch is a hunter's paradis, with 10 miles of creek bottom; gently rolling sagebrush covered hills, abundant cover and food to sustain our wildlife. 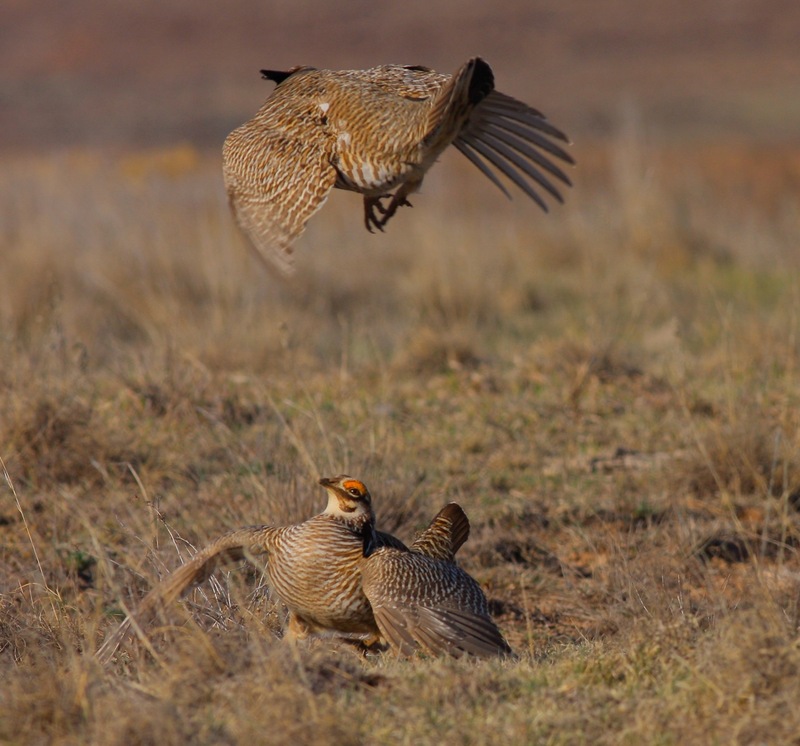 The Selman Guest Ranch is a Featured Location on the annual Woodward Lesser Prairie-Chicken Festival! Welcome to The Selman Guest Ranch, one of the most amazing wildlife viewing and photographic opportunities in the Southern Great Plains of the United States of America. Start your day with a home cooked hot breakfast in Robert E. & Wilma Selman's historic 1920's ranch home. Sit out on any one of five patios sipping hot coffee and just listen to the Whippoorwill, Bobwhite Quail or Mocking Bird. 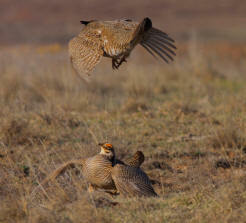 Then jump in the truck and head out for an early morning view of the Lesser Prairie Chicken. After the Prairie Chickens have coupled up you will still have plenty of morning left to go fishing. Drop your hook and bait at one of 10 spring-fed ponds and try your luck at catching a Crappie, Catfish, Perch or Bass. In the heat of summer, jump in for a swim or lounge on a float. Avid Birders will be amazed with the abundance of so many different classes of Aves, from the Bald Eagle (Haliaeetus Leucocephalus) to the Painted Bunting (Passerinaciris). Don't forget our state bird, the Scissor-tail Fly Catcher (Tyrannus forticatus). Bird watching, Butterfly spotting, Dragon Fly pictures and hiking to see the Shore birds are just a few of the most relaxing past times you will enjoy on our 14,000 acre Oklahoma paradise. No neighbors for 5 miles, no construction work, no car horns and no traffic. Lunchtime can be a special treat as we head into town to get an old fashioned hamburger at the Polly Anna Café (at current location since 1928). Walk off lunch with some shopping downtown at the Cowboy Tack Shop, and then take a tour of the Plains Indians and Pioneer Museum. After making a quick trip through Sonic Drive-In for an icy cold beverage or ice cream we drive out to Alabaster Caverns for a 3/4 mile underground tour of the centuries old caverns. As you make your way back to The Selman Guest Ranch enjoy the scenery of wide open spaces, longhorn cattle, and the Selman Living Laboratory and Selman Bat Caves. Every summer over a million Mexican Free-tailed Bats migrate to these caves to bear their young. Educational tours are held throughout the summer to get a closer look and learn all about the bats and other interesting Oklahoma wildlife. Dinner at The Selman Guest Ranch is an event all by itself. Sue Selman cooks a combination of good ole cowboy entries with a dash of elegance. Be sure to ask for a second helping of her smoked turkey, brisket and home made Sand Plum Jelly. Enjoy a glass of wine on the terrace while the sun sets on the Western horizon and the moon lights up the East. Did we mention the free stargazing? It's a wonderful finish to a beautiful day.